In the heart of Central lies an umbrella shop, distanced from the hustle and bustle of the city by the turn of a corner. The ornate umbrella handles displayed at the window are striking, evoking an old-world charm in an otherwise modern setting. Any regular passerby might be tempted to walk in, only to discover something that is less of a shop and more of a bar – surprise! Foxglove is a speakeasy-style bar and restaurant, well known for its 1950s-inspired interiors, live jazz and cocktails. 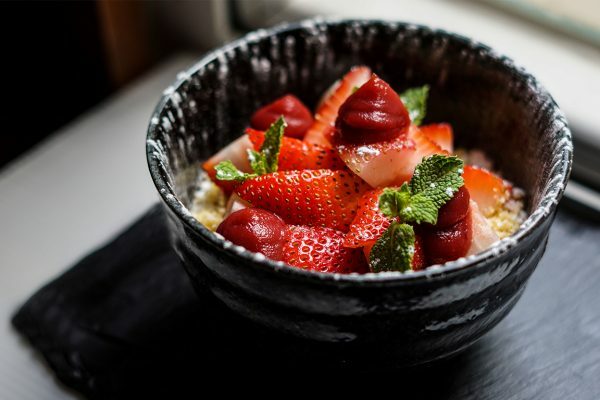 Offering an escape to the golden era of travel and bygone luxury, Foxglove now presents a Chinese menu to give patrons a taste of a truly luxurious Hong Kong dining experience. 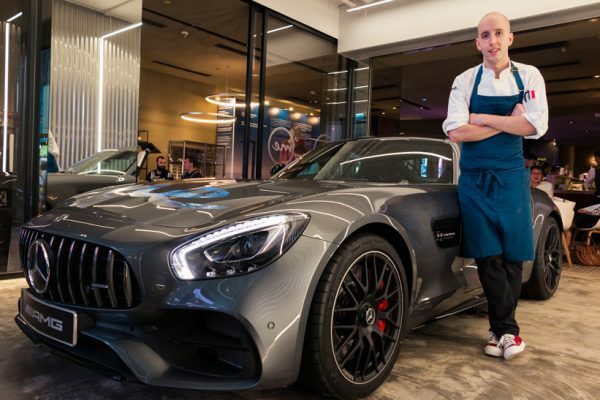 We caught up with Jonathan Bui, co-founder and director of food and beverages, to talk about the importance of the element of surprise in an ever–competitive industry. As with other Ming Fat establishments, Foxglove is based on a character. Can you tell us more about Frank Minza and how this character lends itself to the theme of Foxglove? Frank Minza is the black sheep of an aristocratic family, a very wealthy gentleman who loves travelling. That said, we based the concept of Foxglove on Frank’s love for travel. The interiors in particular are very travel centred. The main dining area is inspired by a 1950s airplane with the gold turbine at the stage and the white waffle-shaped ceilings, which is what planes did have back in the 50s. 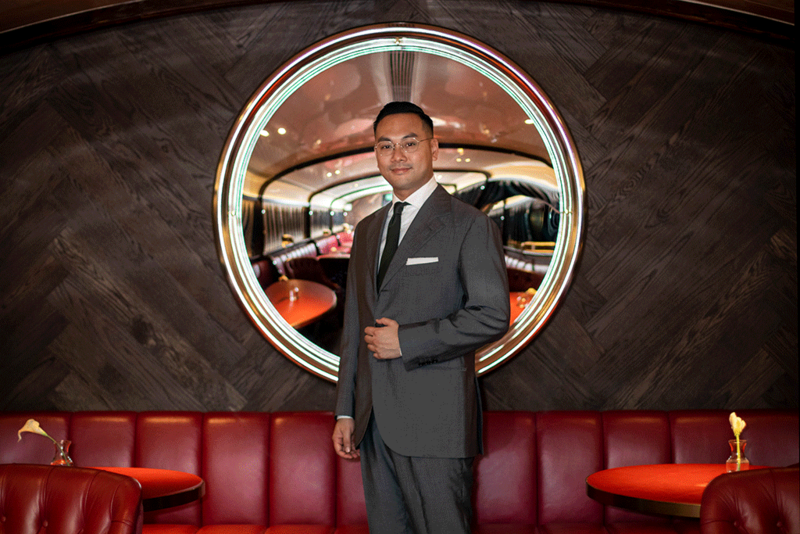 Our lounge is reminiscent of a cabin of the Orient Express, while the bar and washrooms have similar details of a first-class ship. 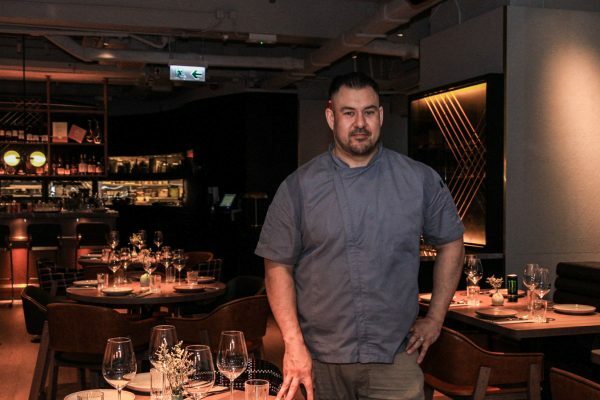 What are the must-have dishes from Foxglove’s new menu? The crispy deep-fried chicken is definitely my favourite. It’s super succulent. Also a must-try is the lotus leaf and wild mushroom short ribs. It’s fried for a second and then braised with assorted mushrooms and chicken stock to draw out the flavours of the beef for a delicious sauce. Afterwards, it’s then wrapped in a lotus leaf and steamed for an hour. The whole process takes several hours, but it’s – wow! When you bite into it, it’s just so juicy, so easy to eat and the flavours and aromas are all over your palate. It’s a very tasty dish. Which Foxglove drinks do you recommend? There’s Bouquet en Lavande, a dessert cocktail with lavender foam made of marshmallows, Hendrick’s and lemon juice. It’s definitely for people who don’t skip dessert. I have a sweet tooth myself and really like this one. Another special cocktail is the Hurricane Mania. It’s made from our own house-blend rum and house passion fruit cordial with a dash of absinthe and lime juice. 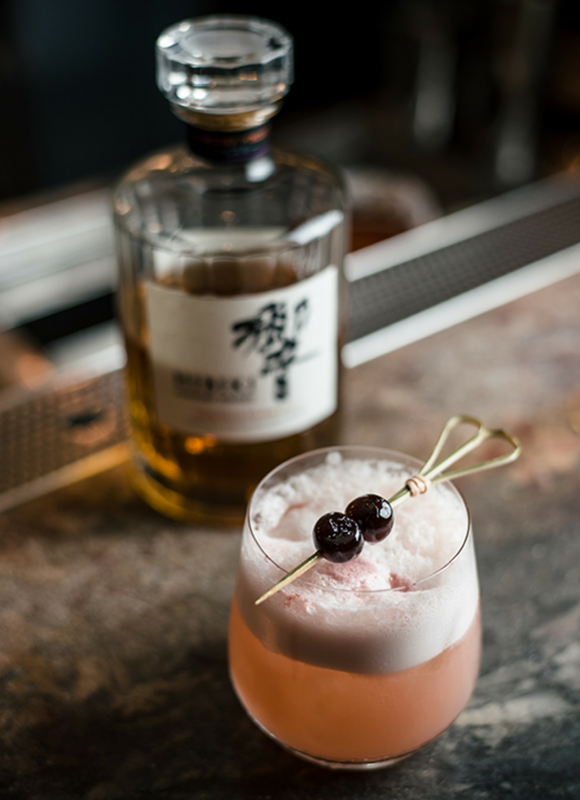 This drink is very special to us as we make its key ingredients in-house. The word “experience” comes up in almost every conversation about dining and drinks. How important is experience at Foxglove? It’s all about experience with food and beverage. For us, refining the full experience down to the smallest detail, from ambience to menu, was much needed because we want to transport people back to a different time and a different place so that they can forget about the things they’re trying to manage for awhile and simply enjoy themselves. 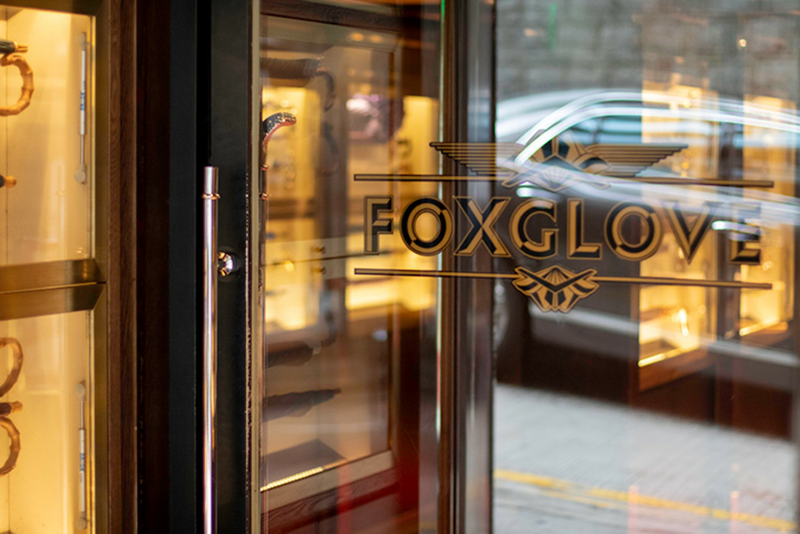 We think of Foxglove as a quick getaway from Hong Kong to a different world, so we made sure that the ambience, the interiors, the music and the food and drinks all encourage that. In a nutshell, how do you want diners to feel whilst in the world of Foxglove? We want to create feelings of joy, nostalgia, love and relaxation – feelings that have to do with bonding and having a good time with good company. We want people leaving Foxglove with a smile on their face. How has social media and all its changes affected Foxglove over the past year? Social media helped us a lot to build on our character because we needed to speak and interact with an audience in order to hear our own voice. It is a great tool for our old customers to stay updated with what we’re doing and what’s coming up, and for new customers to get acquainted with who we are and what we do. What is the latest Foxglove addition that you would like our readers to discover? Our Chinese food, of course! Our team worked extremely hard to produce dishes that are delicious as well as traditional and reflective of our rich culture. 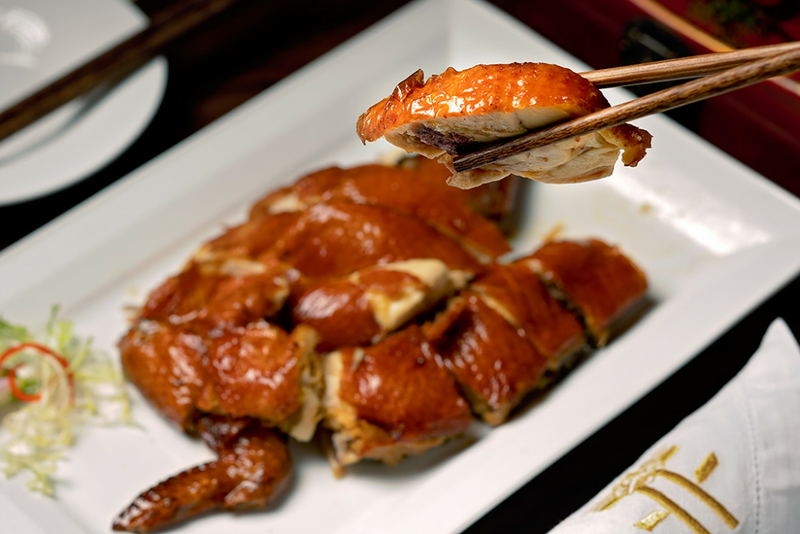 We wanted people to get the feel of Hong Kong through our food. The change of cuisine has been very positive so far. Our menu is simple – it’s not extensive and intimidating, however, we do have a lot of hidden dishes that are not printed on the menu. You will just need to ask our team what they can make for you. It’s all part of the surprise!